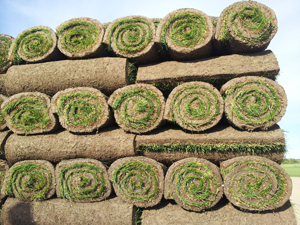 At Westwood Turf Farm, we presently produce 290 acres of the best lawn grass, grown from Certified #1 grass seed. 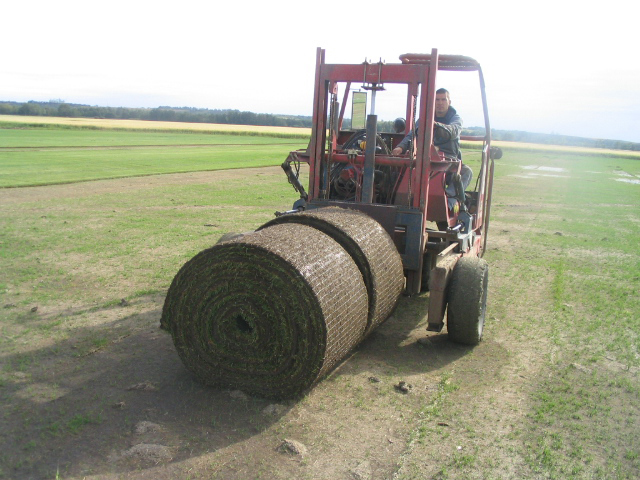 Under the special care of Grassmaster Jack Westwood, our turf is a special blend of four Kentucky Blue Grasses and Creeping Red Fescue, which surpasses C.M.H.C’s purity standards. 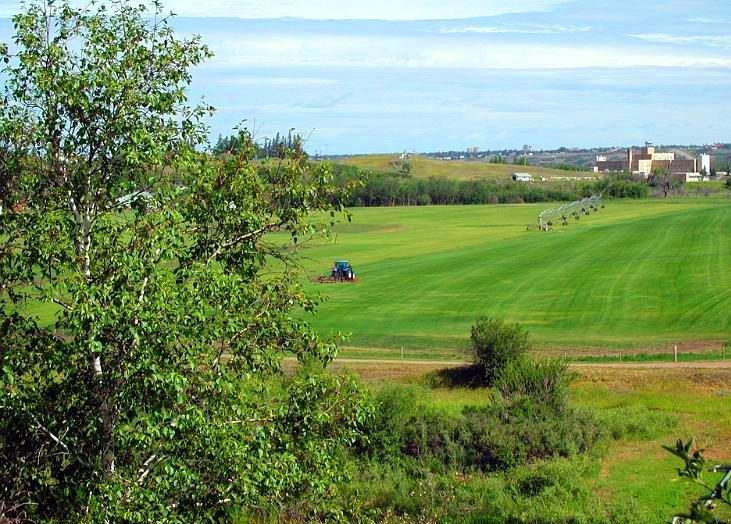 We deliver to Saskatoon and Lloydminster – give us a call to learn more. Grass never grows under Alan Westwood’s feet! Alan (amongst many responsibilities) oversees our harvesting and trucking. He ensures our high standard in quality control. This size is 2ftx5ft, which is perfect for DIY or small areas. They are cut into rolls and loaded onto pallets. A pallet holds 64 rolls (640’). This size is 225 square feet, suitable for large areas. It requires special equipment to install. There always seems to be a neighbor that has the greenest, healthiest, attractive on your street. The secret is in good maintenance practices! With proper maintenance you will be that neighbor – to the envy of the neighborhood! 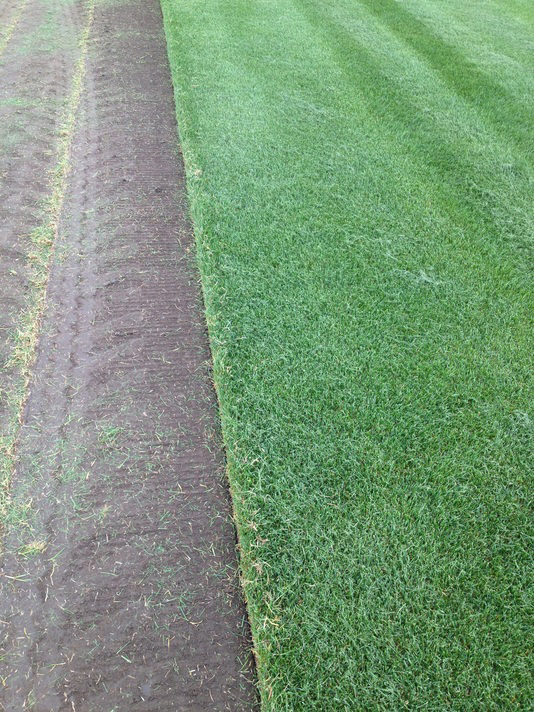 Mowing: Freshly laid sod -The first cutting will likely be needed in 6-10 days. Mow to a 2 inch height using a bagging attachment. Keep mower blades sharp! Mow often. Avoid scalping as this weakens turf. Mow in a different direction from the previous mowing. Mow from a different direction each time. Watering: Once or twice a week is preferable to frequent, shallow watering. Early morning is the best time, because you lose less to evaporation. 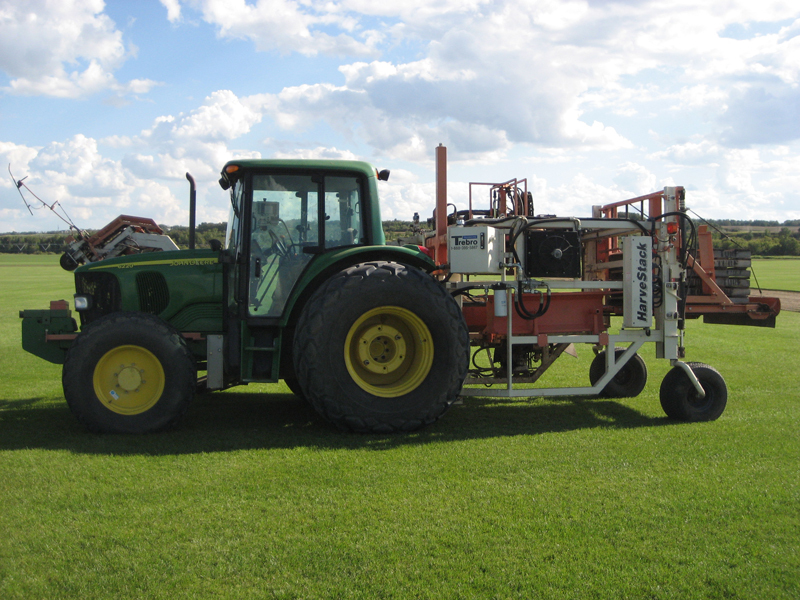 Aeration: Aeration assists the transfer of water and nutrients to the root zone. Normally the roots perform this function very well by themselves, but some heavier soils or lawns that have heavy traffic will benefit from periodic aeration. Fertilizing: We recommend using a slow release formula. Using a broadcast spreader, distribute 2-4 lbs per 1000 square feet per feeding. In spring use a fertilizer with higher nitrogen. In summertime, use a balanced mix. Fall fertilizer should have lower nitrogen. Always water well after fertilizing! 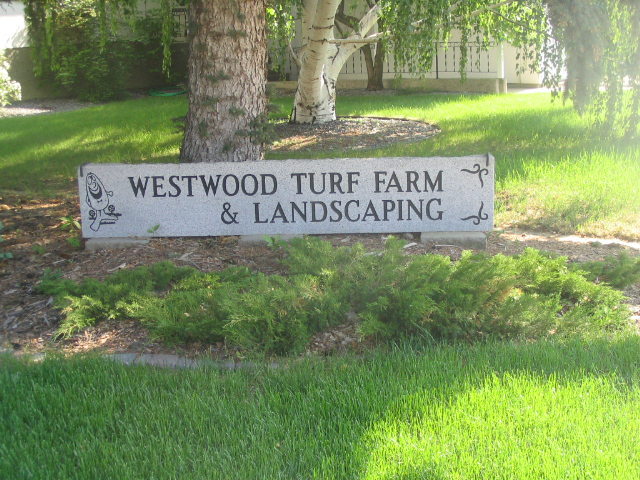 Westwood Turf carries a preferred mixture fertilizer. Spring and Fall: Remove accumulated leaves and grass clippings from the lawn to avoid thatch. 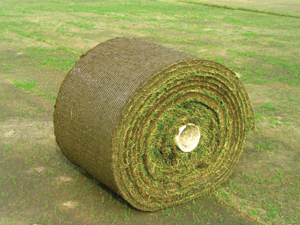 Too much thatch can become a welcome mat for insects and diseases. Fall: Soak lawn and shrubs prior to freeze up. Weeds: The best defense against weeds is keeping your lawn thick and vigorous. If you have a weed or two, just pull them out by hand. Make sure to get the roots too, put into a container and dispose. Another way to control them (if they are an annual weed) is to keep them from going to seed by keeping them mowed. Insects: Most bugs you’ll find won’t be a problem. If you suspect that you do have a problem with insects, contact a local pest control service. Mushrooms: Most mushrooms are not harmful to the lawn, they are just unsightly. If you want to remove mushrooms: Pick and place in plastic bag seal and dispose. You can also mix ¼ cup dish soap with 3 gallons warm water. Saturate the mushrooms and surrounding areas with the mixture. Repeat these steps in one week. Fairy Ring: This fungus is not toxic to the lawn, but it prevents water from getting to the roots of the sod, causing it to die. To remove a fairy ring: spike the ring with a garden fork and soak with soapy water. This, along with frequent watering will increase moisture and slow ring development. Reseed or re-sod the dead areas. Snow Mold: This looks like grey or pinkish rings. It is easy to get rid of by raking the grass vigorously if it appears. Remove it by raking the grass vigorously. This program will help you with financing cash & carry items!